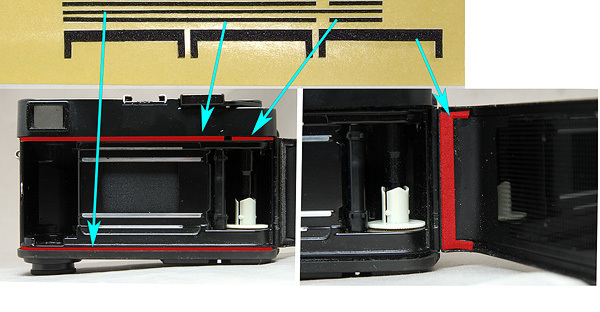 Light seals (gasket sponge) replace kit for Minolta CLE. It is aki-asahi's custom kit, not original from Minolta. You could install them as above video. The process is the same as above video. The price is $7.00 US, includes 3 kits in 1 set. This kit fits to Minolta CLE, does not fit to any other cameras, does not fit to Leica CL either.